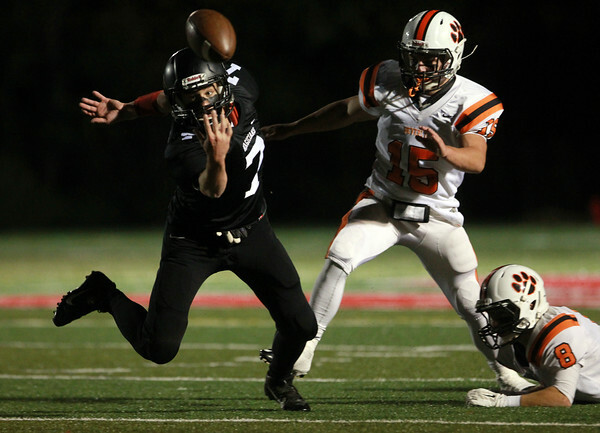 Marblehead senior wide receiver Robert Hill (7) fumbles the ball up into the air after being pressured by Beverly junior Christian Miller (15) and Mike McKenna (8). The Panthers lost to the undefeated Magicians 48-22 on Friday evening. DAVID LE/Staff photo. 10/10/14.